Devastating Typhoon Leaves Some 140,000 North Koreans In Need Of Aid : The Two-Way Typhoon Lionrock caused extensive flooding More than 130 people are dead and at least 100,000 have been displaced, according to U.N. agencies. Typhoon Lionrock nears Japan on Aug. 26. The storm went on to hit North Korea, causing devastating floods. A powerful typhoon in North Korea has caused devastating floods, killing more than 130 people and displacing at least 100,000, according to United Nations agencies. Typhoon Lionrock struck North Korea about two weeks ago. It triggered floods that have left at least 138 people dead and some 400 others missing, the U.N. resident coordinator's office says. More than 100,000 people have been displaced, UNICEF says. Houses, hospitals and infrastructure have all been destroyed. Some 140,000 people urgently need aid, according to the International Federation of Red Cross and Red Crescent Societies. And the full extent of the damage is still hard to evaluate, with many areas still inaccessible. The floods destroyed more than 11,600 buildings and 60 bridges, according to North Korean state media, as translated by Yonhap News Agency. State media is calling it the worst disaster in more than 70 years, Yonhap reports. As always, claims from North Korean state media are difficult to verify. 2015: Is N. Korea Facing A Famine Or Just Seeking More Aid? 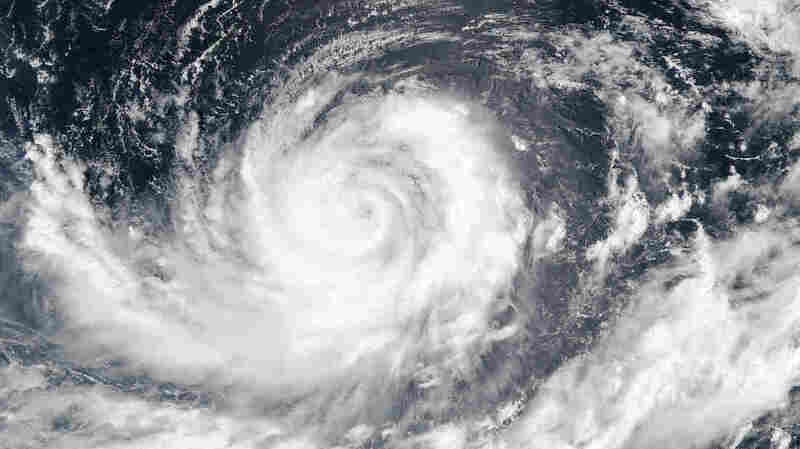 But U.N. resident coordinator Tapan Mishra says the disaster is the largest in recent memory — and could get worse. "The situation will become aggravated as winter is approaching and temperatures will rapidly plunge below zero degrees," Mishra says in a statement. It's a concern echoed by UNICEF Deputy Representative Murat Sahin. "A lot of humanitarian work needs to be done to reach children, mothers and the elderly before the cold hits," Sahin says. There's another concern, too: The floods struck close to harvest time. "Around 16,000 hectares of arable land have been inundated and with the local maize and rice crops only a few weeks away from harvest, there are fears for the food security of people across North Hamgyong in the months ahead," the IFRC writes. "North Korea experiences frequent natural disasters which are more devastating because of its often problematic infrastructure and lack of civil engineering projects designed to mitigate damage. "In August last year, major downpours followed by flash floods killed at least 40 people and devastated parts of the Rason area, near the Russian and Chinese borders where a key special economic zone is located. "A series of floods and droughts were a contributing factor in the disastrous famine years of the 1990s — called the 'arduous march' in North Korea — that nearly brought the country to economic ruin." The U.N. food relief agency says it needs more than a million dollars to meet the food needs of the immediate crisis in North Korea. Humanitarian aid is exempt from sanctions on North Korea, although the sanctions can make aid work more difficult. And when it comes to asking the world to send money to help North Korea, "the timing could hardly be worse," as The Washington Post puts it. Just last week, the country carried out its largest-ever nuclear test.